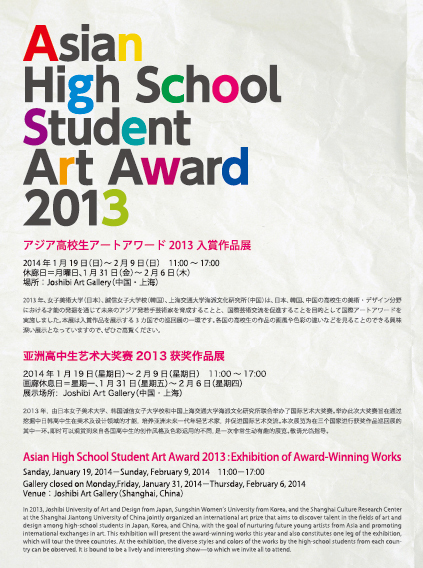 In 2013, Joshibi University of Art and Design from Japan, Sungshin Women’s University from Korea, and the Shanghai Culture Research Center at the Shanghai Jiantong University of China jointly organized an international art prize that aims to discover talent in the fields of art and design among high-school students in Japan, Korea, and China, with the goal of nurturing future young artists from Asia and promoting international exchanges in art. 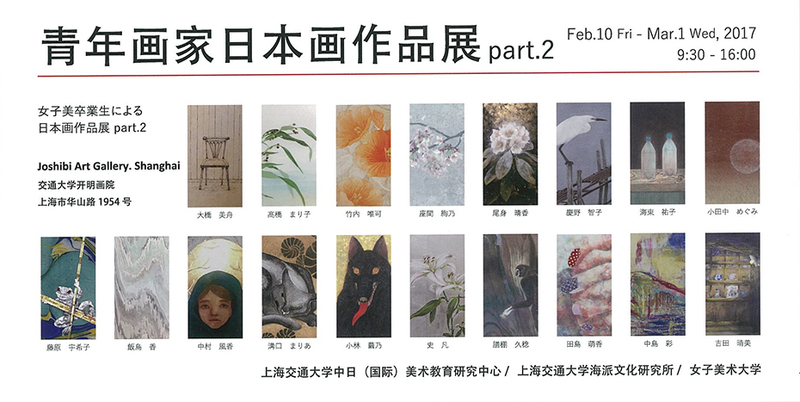 This exhibition will present the award-winning works this year and also constitutes one leg of the exhibition, which will tour the three countries. 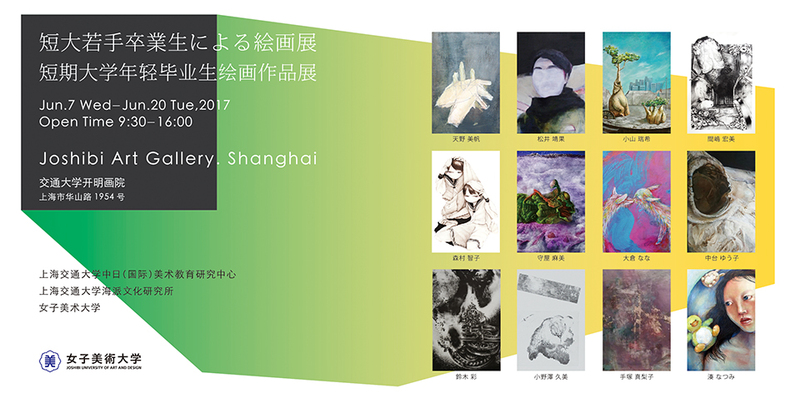 At the exhibition, the diverse styles and colors of the works by the high-school students from each country can be observed. 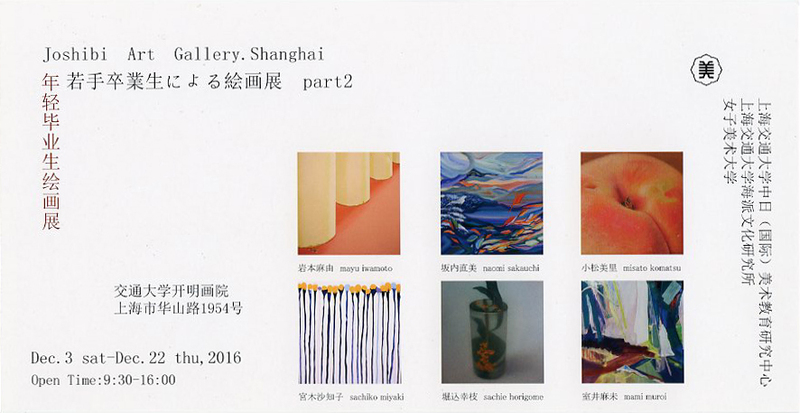 It is bound to be a lively and interesting show—to which we invite all to attend. © Joshibi Art Gallery.Shanghai. all rights reserved.